February may seem like a month of rest, a month when the earth regenerates and we can’t do anything else but wait. 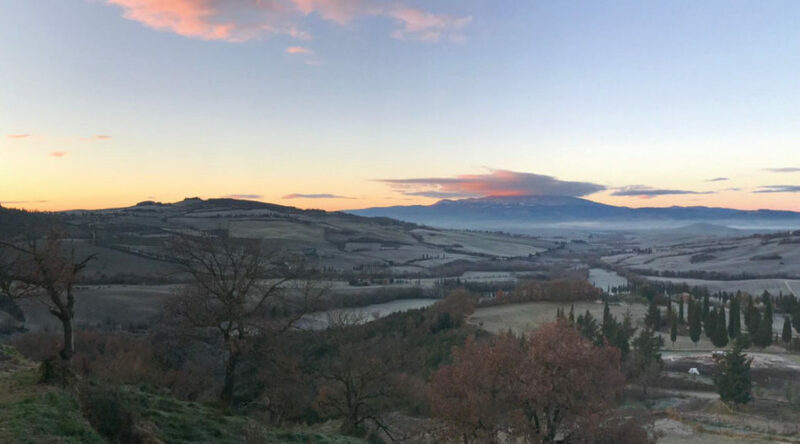 Instead this month for a farm like Podere Il Casale is a very important moment, on which depends the success of a whole year! 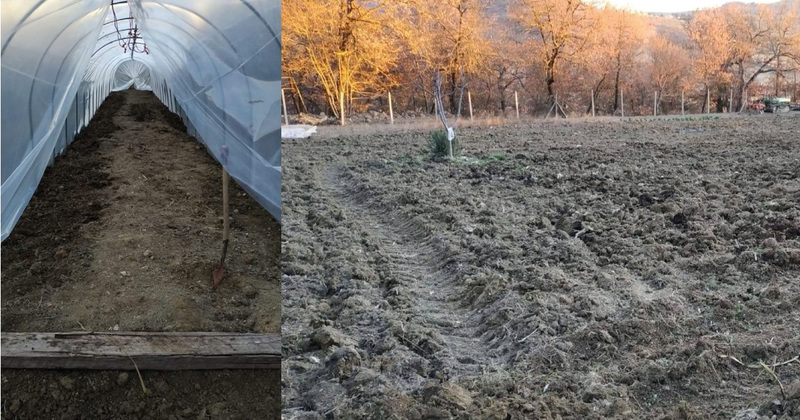 In fact the vineyard and the vegetable garden awaken to give life to the new agricultural year. In the vineyard we need to proceed with winter pruning and the vegetable garden must be prepared for the cultivation of new plants. And what happens in our stables? Well in February born the kids and they need special care and attention. In short, what might seem like a month of relaxation is, instead, one of the hardest months of the year for country life, but it is a sacrifice that one has to pay to reap the best possible fruit. Do you want to taste an excellent wine in 2020? Well, this phase is really important. 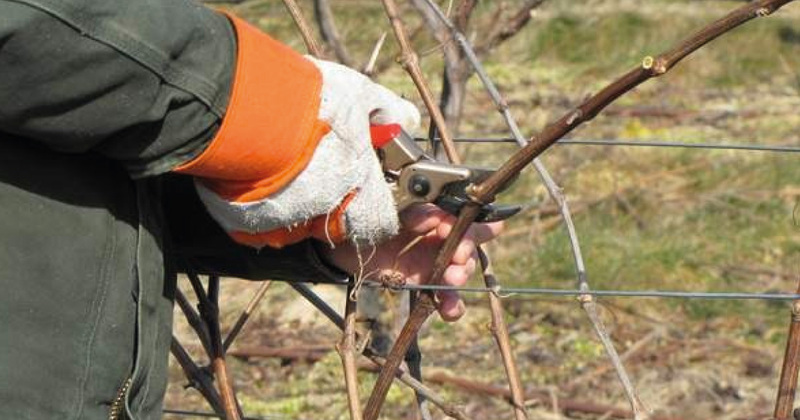 Dry pruning or winter pruning is used to select the best buds, their number and consequently the quantity and quality of the fruit. In fact, with this operation about 80% of the wood produced by the vine in the previous year is cut. This gives great benefits to the plant for its development in the future. We self-limit the production of bunches to control it and keep the plant development constant and regular. Moreover, with winter pruning the fruiting of the vine is speeded up, the bunches will be less but bigger. In practice the purpose is to leave only the buds that we are sure that the plant can bring to full ripening thus avoiding thinning along the rows. But it’s not all as simple as it may seem. The choice of how many gems to “save” is not mathematical, it all depends on the properties of the soil and its fertility. From what has been said it could seem that a smaller number of bunches means higher quality. In short, you have understood that this would seem a mechanical operation, but it is a very delicate operation, where we need to find an important balance. In the stables of Podere the Casale happen the small miracle of February: the birth of the kids. This is not just a happy event, but also a very challenging time for a breeder. Babies, you know, need special care and attention. The first 3 weeks of life are very, very important. Mothers in the first two days do not produce milk, but colostrum. This is a liquid yellowish substance, more similar to whey than to milk that contains proteins, minerals and especially antibodies. So at this stage you have to make sure that the kids take it. It is very important for their health and it is the first thing that must activate the intestinal mechanism. IN the first days of life, it’s important to set up boxes where mothers and their babies can stay together. This environment must be cleaned every day by adding new straw. 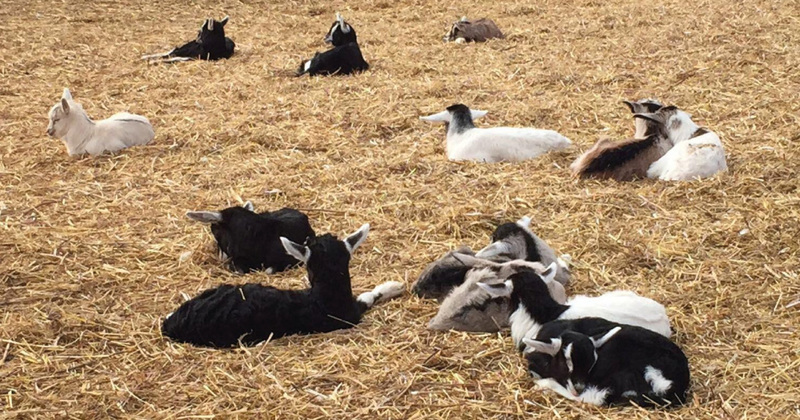 The control must be careful, because it happens that the goats refuse to breastfeed. So you have to supervise and make sure that the udders are healthy. After the first week the kids start wanting to eat hay. So you have to prepare a box entirely dedicated to kids with quality weaning feed. You will have understood that behind this magical moment there is a small undergrowth of attentions, care and work. But, in in front of these tender and sweet results, it is worthwhile to face the sacrifices of this phase. February is certainly not the month of large crops in the field and even sowing works are reduced to minimum. But the soil must be prepared for the sowing of March and the frosts make the digging work very hard. The sowing work takes place indoors, then the plants will be transplanted in April in the open field. So the work we will do in February is digging and cleaning. The garden beds are cleared of pebbles and weeds, the soil is fertilized and new flowerbeds and drainage canals are built. It is also time to plan the season to come, preparing the land for the various crops. In short, it is a hard and stimulating phase, but it will give the desired results. In this month we start to set up the project of what to grow, choosing vegetables and planning transplants and collections. Other activities to which we will dedicate ourselves is the maintenance of tools, the creation and maintenance of greenhouses, compartments and fences. This is a work that must be done now, because when the vegetable garden comes into production there will not be time to do it. In short, the work of February will allow us to have a well organized soil in spring, ready for sowing.